Mechanical testing is a term used that encompasses a number of different tests that determine the various mechanical properties of a material. Generally speaking, mechanical testing measures a material’s response to a loading condition. 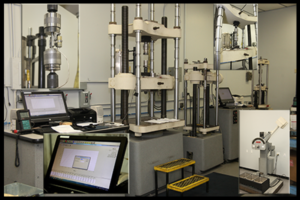 Mechanical testing serves to ensure a material is suitable for its intended application and is a verification of prior material processing.